Available in standard and oversize, the robust 1" x 12" x 16" Heavy Duty Gauging Table Kit takes the guesswork out of making precise, repeatable standard or oversize holes. 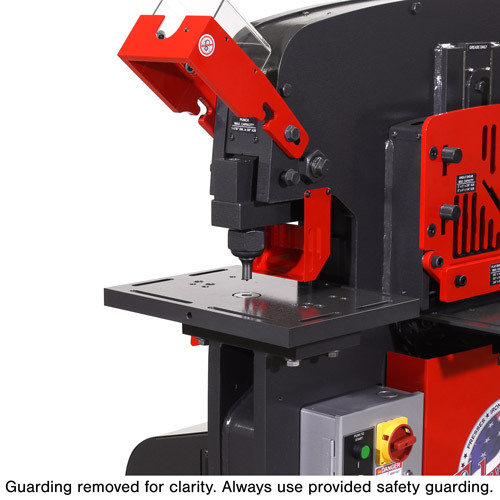 Movable fences clamp down to the table surface with heavy-duty hardware to guide your material to the same punch location every time. The kit includes heavy duty table, mounting plate, hardware and one short and one long movable fence.